Taking the time to create positive grooming experiences. At DogPlay we believe that how a dog feels is just as important as how they look. We use low-stress grooming practices to not only help dogs look their absolute best, but feel fantastic as well. This may mean that things take a little bit longer or cost a little bit more, but we believe a happy, well-groomed dog is worth it! 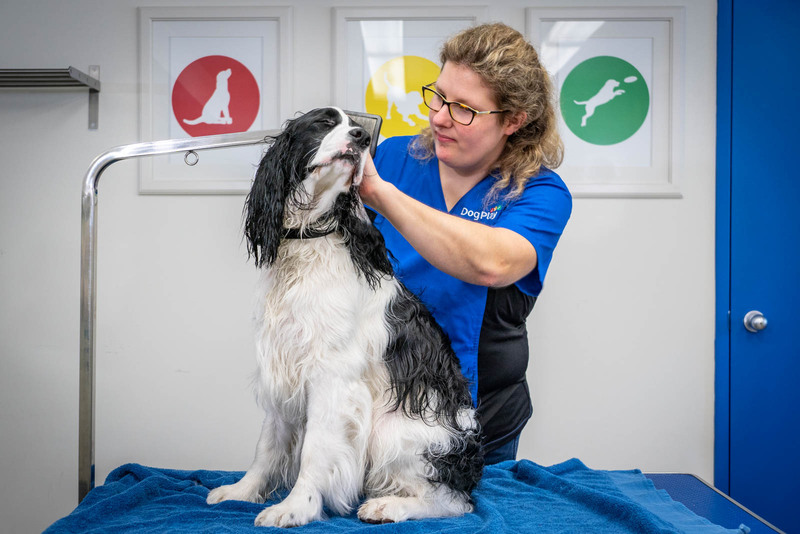 Our award-winning grooming salon is fully equipped to handle everything from simple nail trims to complicated breed specific cuts. 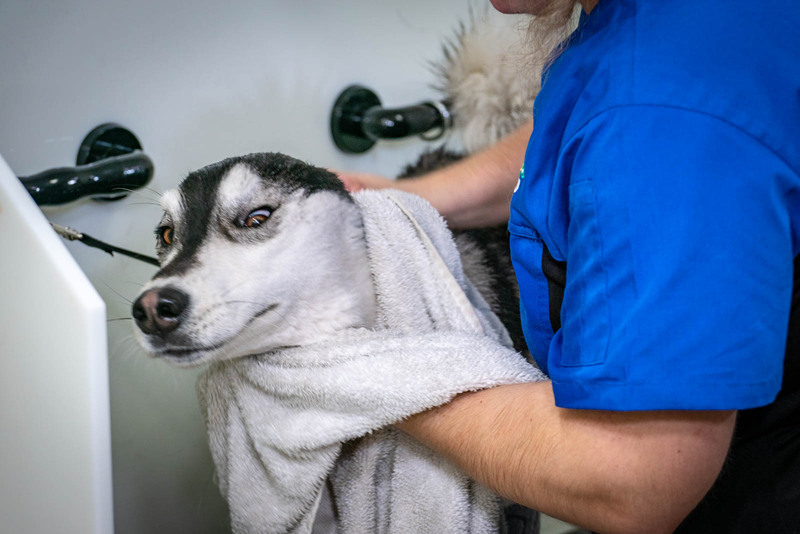 With a little patience, we’re confident we can help convince your dog that a spa day with the groomer is something to look forward to! Warm bath with all natural shampoo, towel and blow dry, full brush out, ear clean, and nail trim. Warm bath with all natural shampoo, towel and blow dry, full brush out, tidy of sanitary area, paws, ears and face, ear clean, and nail trim. Warm bath with all natural shampoo, towel and blow dry, full brush out, smooth clip, ear clean, and nail trim. Warm bath with all natural shampoo, towel and blow dry, full brush out, breed-specific precision cut and scissor, ear clean, and nail trim. Add any of these items to a Daycare, Grooming, or Boarding reservation, or book them on their own, à la carte. Our vision is to help dogs look amazing, feel great, and thoroughly enjoy their day at the spa! What's with the + signs next to your prices? 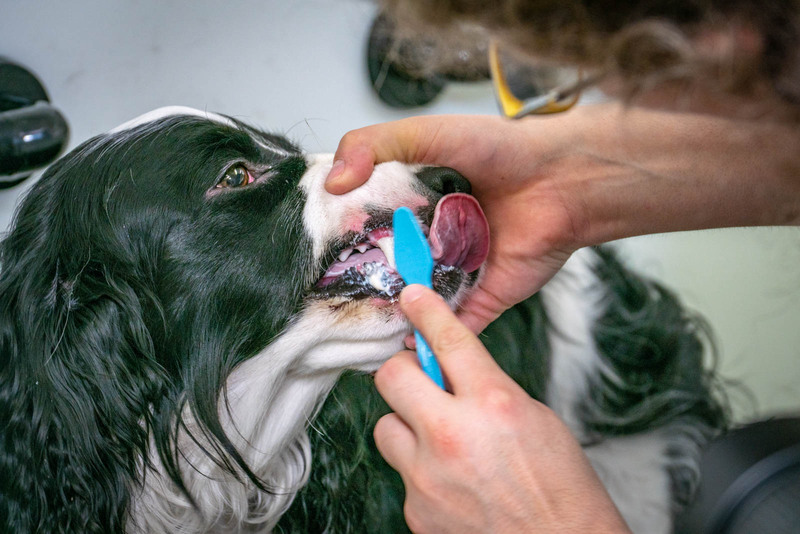 The price of your grooming visit will depend on the state of your dog’s coat, how complicated the groom is, and how comfortable your dog is being groomed. 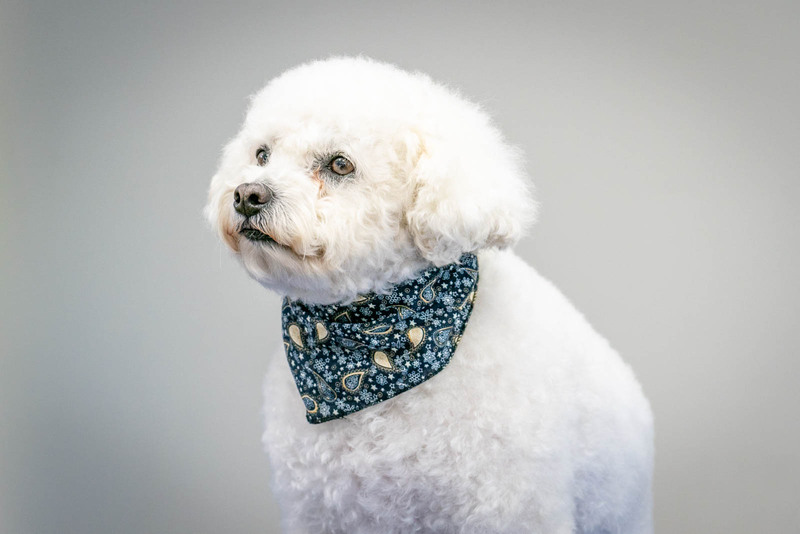 We will be able to give you a much better price estimate when we see your dog on the day and will do our best to communicate any additional costs. How long will my grooming appointment take? This will depend on the size and breed of your dog and the services requested. We will do our best to give you an accurate estimate at drop-off and will update you if things are taking longer than expected. Our grooming salon is open to our reception area so you can see everything that happens there. 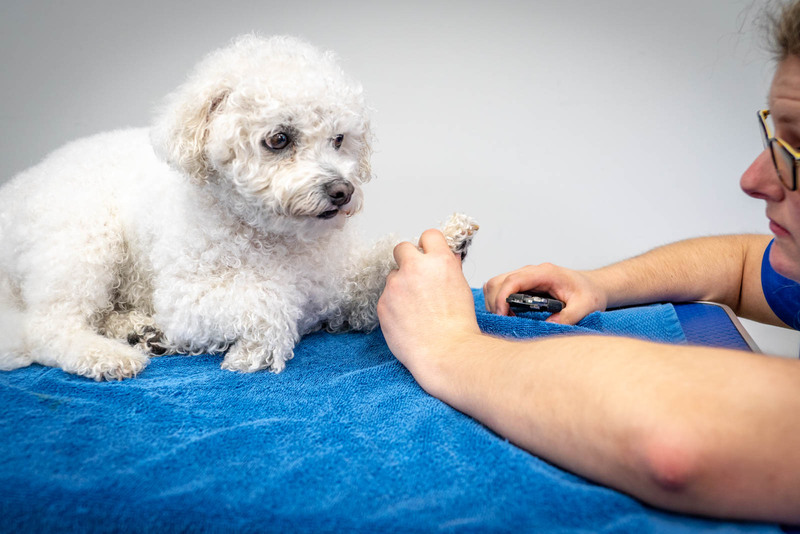 Staying to watch can cause a lot of undue stress on your dog however so we don’t recommend staying and waiting at DogPlay during your dog’s groom. My dog has allergies and/or a skin condition. Can you help? 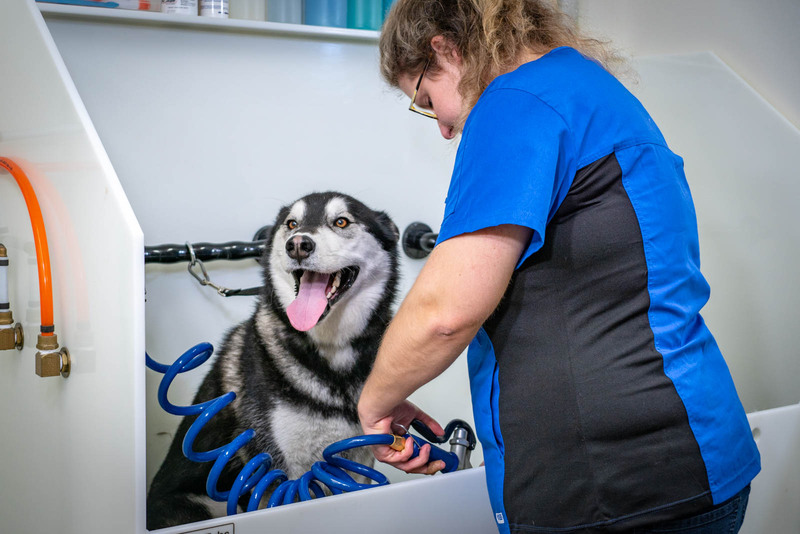 We have shampoos and conditioners for sensitive skins and are happy to use medicated shampoos that you have been prescribed by your veterinarian. 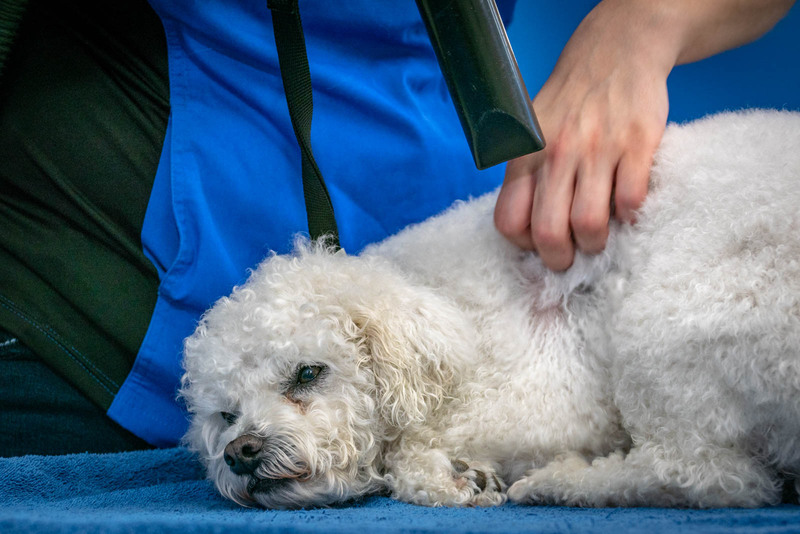 “I specifically drive 20 minutes each way to take my 16 year old dog to this dog grooming studio because I believe she gets really good care and attention. “This place is awesome! My little Yorkie had a bad experience with a previous groomer, he was terrified of getting groomed. 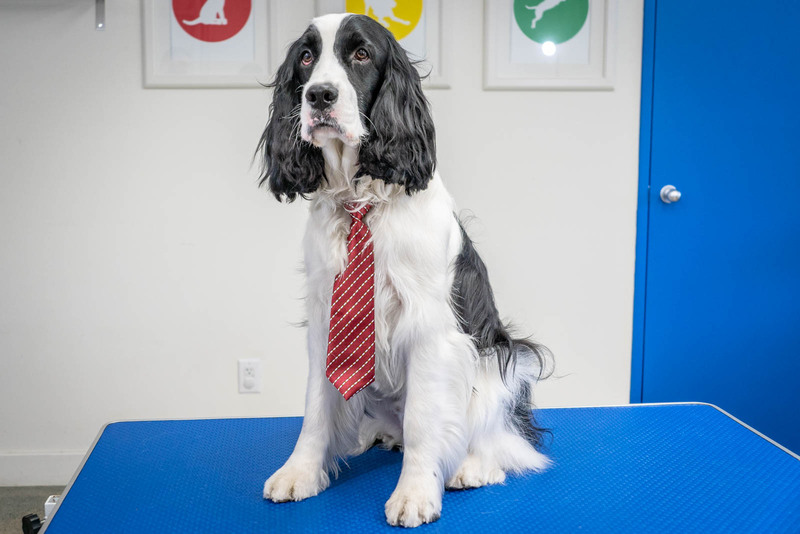 Somehow DogPlay managed to make him feel comfortable and they said he did really well, and he came out looking perfectly groomed and absolutely adorable. “Our dog hates going to groomer because of bad past experience and every time I pick him up from groomer he will cry for hours later. This is the first time that he actually was happy after grooming session.